Since 2013, Wear Manitou Day celebrates everything Manitou while supporting the Experience Camps. 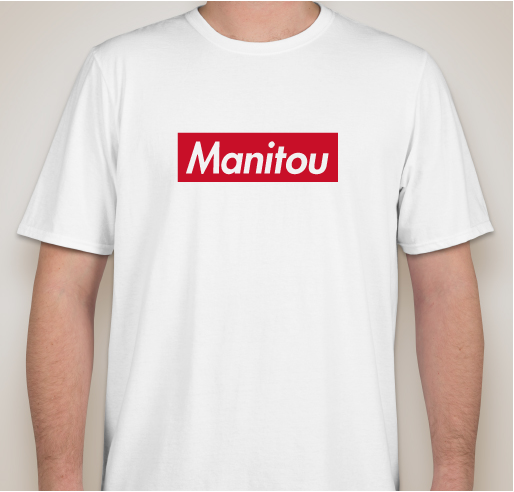 Buy your limited edition "Supreme" style Manitou shirt today! All funds raised will go directly to Experience Camps . 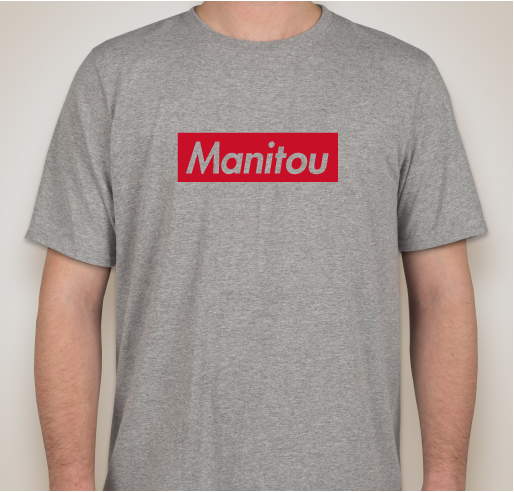 Wear Manitou Day, on Tuesday, November 13th is when the Manitou Nation comes together by wearing their favorite Manitou gear. Also, we are selling t-shirts through Customink.com to support the Experience Camps program. Our goal is to raise over $1,500 for the one-week bereavement camps! What is Wear Manitou Day? Wear Manitou Day is an opportunity to wear your favorite Manitou gear and show them off by shooting fun, creative and unique photos in or near your home. On November 13th, participants will take photos of themselves in their Manitou gear and either email us or post to social media using the #wearmanitou18 tag. We give prizes to participants in different categories: Best Group, Most Items, Best Location, Creative Staff, Creative Camper, Creative Alumni, and Creative siblings. Experience Camps are one-week camps for boys and girls who have experienced the death of a parent, sibling or primary caregiver. It's a place where kids can laugh, cry, play, create, remember the person who died, or forget the grief that weighs them down. It's a place where they can feel "normal", because everyone there has been through something similar and understands what it's like to lose someone important to them. It's a home away from home. And just about everyone will tell you..."It's the best week of the year". Everything associated with Camp Manitou is worthwhile! Share Why You Support "Wear Manitou 2018"